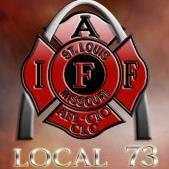 The International Association of Firefighters Local 73 voted to support Kevin McKinney for Alderman of the 8th Ward. The office of Alderman is an important position in which office holders must carefully weigh the agendas of a presiding mayor’s administration with that of the needs of their constituents. Additionally, that office should also consider the needs of those who make up the human infrastructure of the city; those employed in its service. The members of International Association of Firefighters (IAFF) Local 73 provide a substantial part of the public safety net in the City of St. Louis by dutifully responding to thousands of fire, rescue, and EMS calls per year. IAFF Local 73 is, of course, concerned with the fair treatment of those members, but also with the forward progression of the City of St. Louis. This city is our city as well and for the good of all, we want it to succeed. We believe this is possible without leaving anyone behind; citizen or servant. As we’ve officially entered the 2015 Election season, our members and executive board are paying keen attention to the aldermanic candidates. We were honored to host many of these thoughtful candidates as they put forth their visions to our membership. We believe that with these candidates there is a great opportunity to replace the tired machine politics of the past with innovative leadership reflective of a city bounding forward. This list is by no means exhaustive and for those candidates in wards yet to receive our endorsement, we certainly continue to offer the invitation for you to present your visions as well. Kevin is proud to have the support of so many dedicated and courageous First Responders.